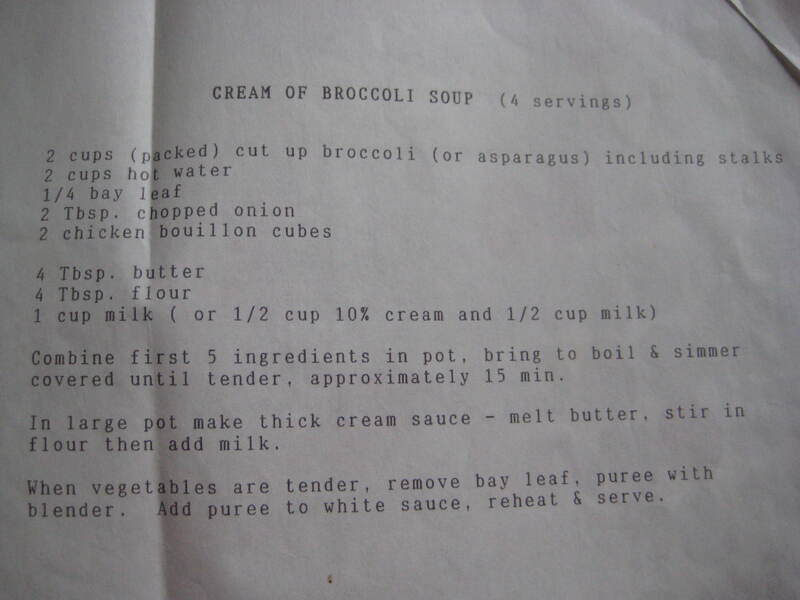 My mother used to make the most amazing cream of broccoli soup. Everyone loved it. Except those that didn’t like broccoli soup, I suppose. 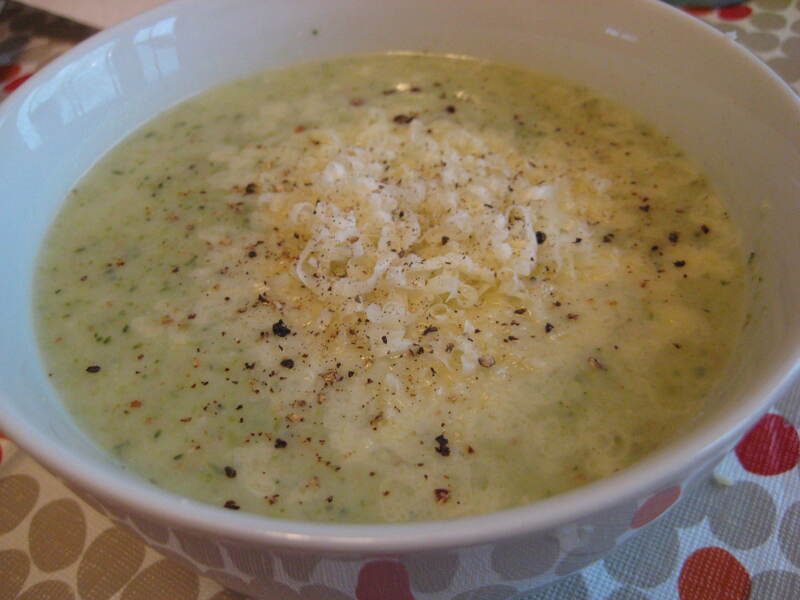 But a nice bowl of thick creamy broccoli soup, topped with cheese and salt and pepper… mmm! 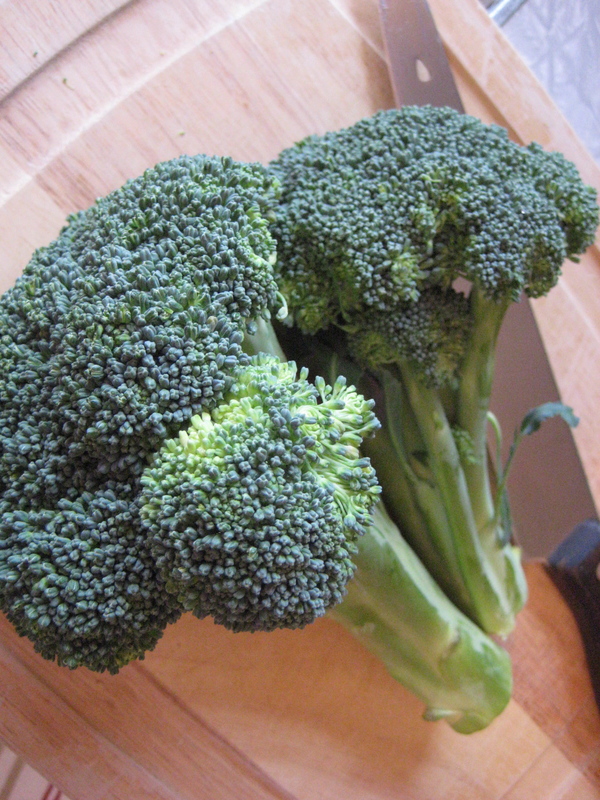 I have wanted to try to make mom’s broccoli soup for years, but have never gotten around to it – until today. 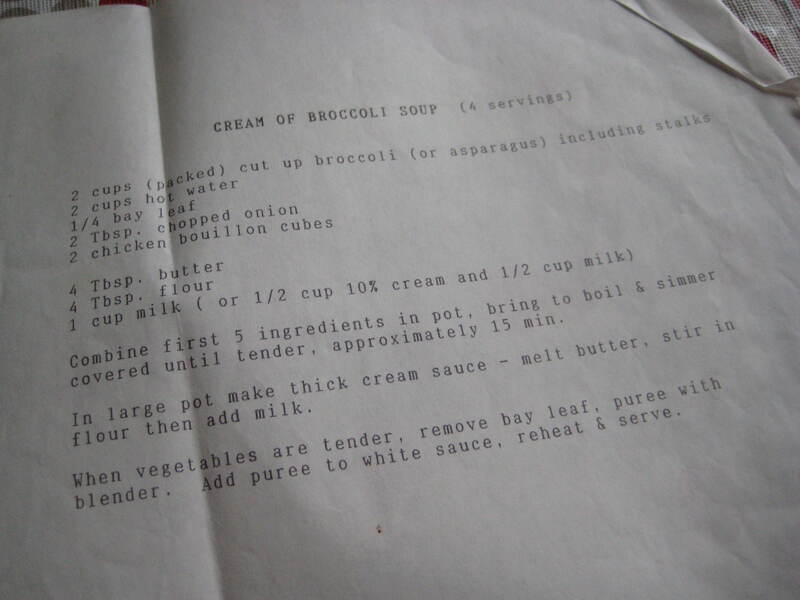 As with most of her best recipes, this one was typed and printed back in the nineties, on our family’s first computer, a good old MS-DOS version with a crude word processing program. 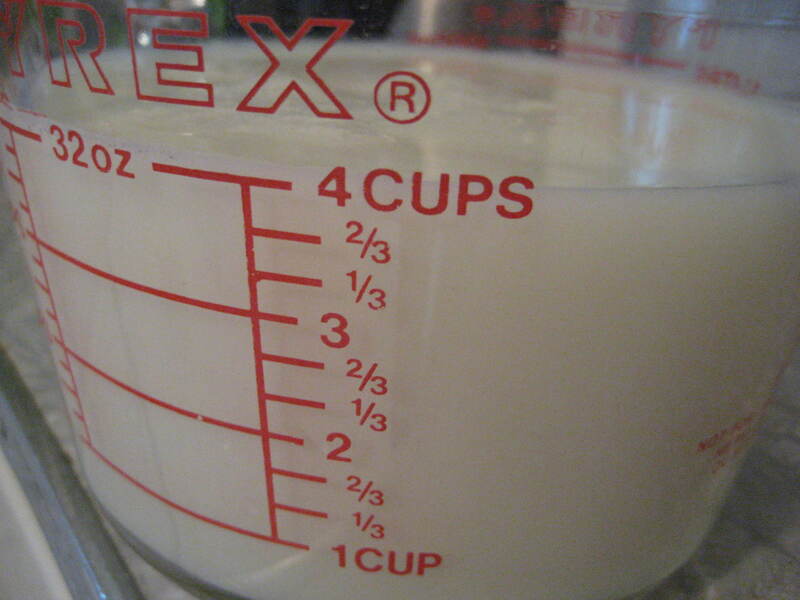 Of course, 4 servings was never enough for my family, so this recipe was always quadrupled. 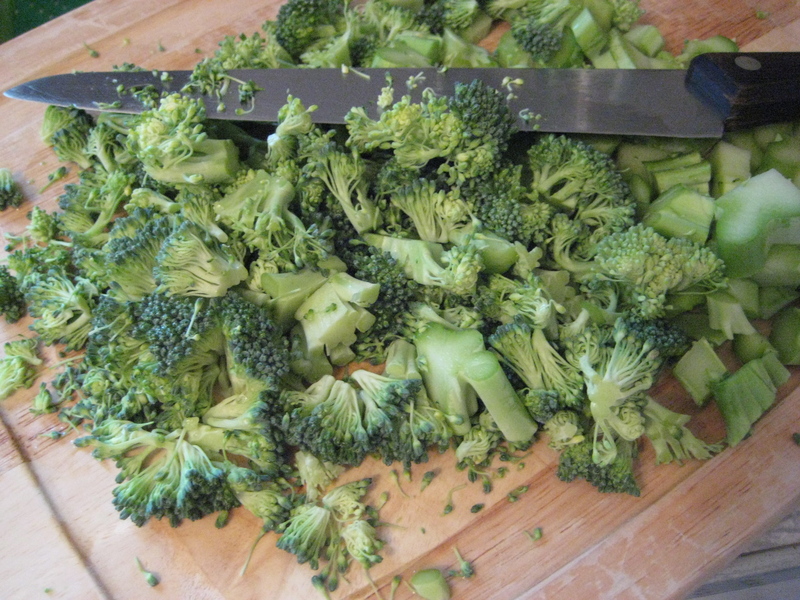 I don’t think it needed to be chopped so fine… but live and learn. The recipe calls for 2 cups, so naturally I chopped 8. I didn’t intend to quadruple it… but I did. I have always done better at cooking for several rather than one or two. 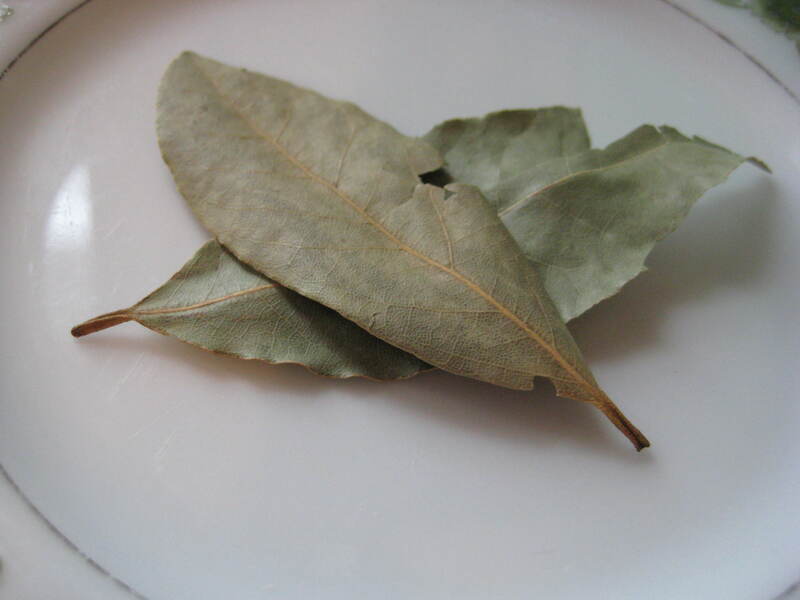 Put in a big pot with hot water, chicken bouillon (I used packets instead of cubes), a bay leaf, and chopped onion. 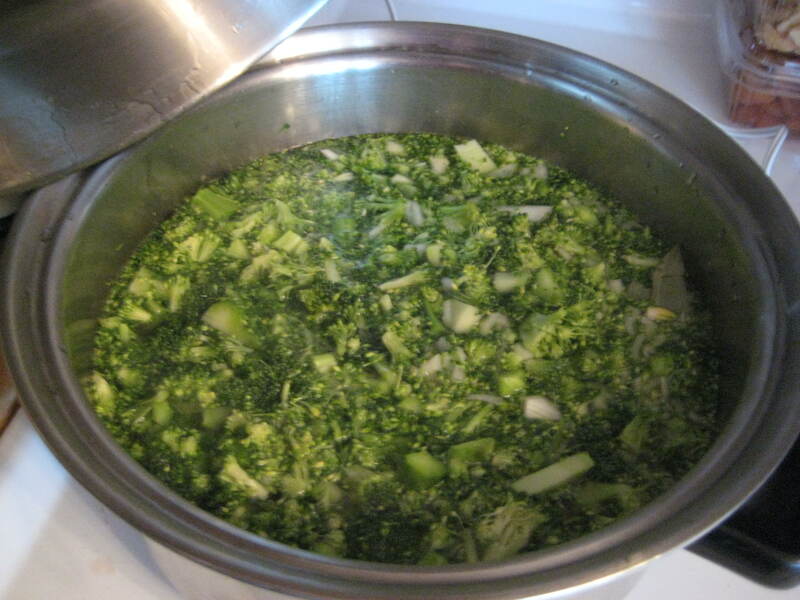 Bring to a boil and allow to simmer until tender, about 15 minutes. 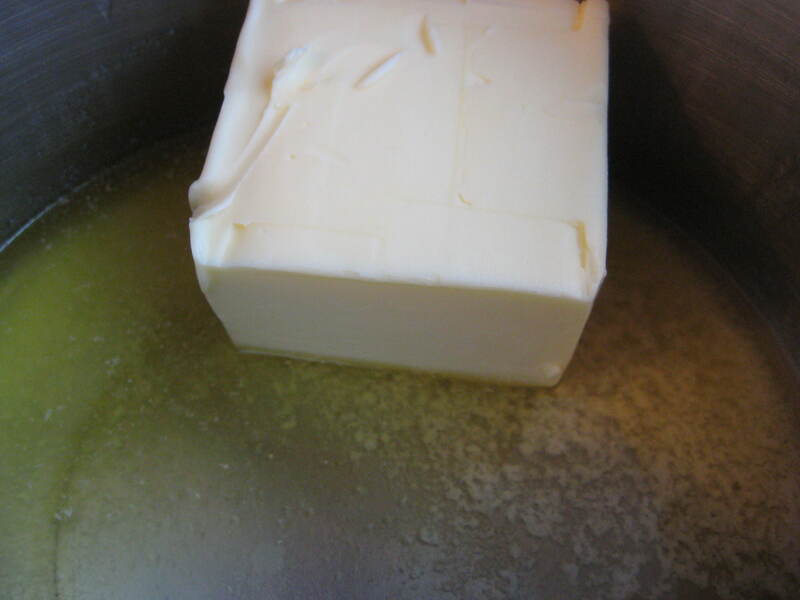 Add milk or cream to the butter. I only had skim milk, which I wouldn’t recommend. Or, if I were to use it again, I would use less than it calls for, so the white sauce is thicker. 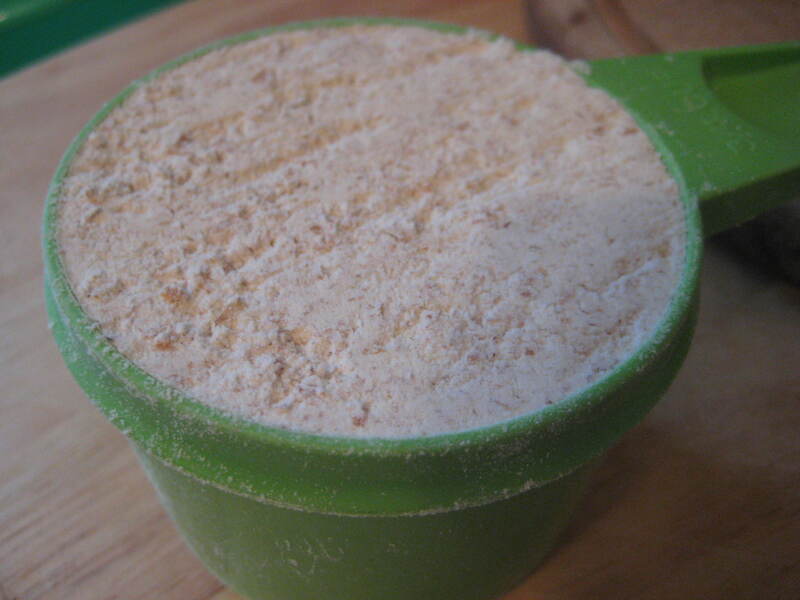 Then, stir in some flour. I only had whole wheat flour, which, again, is less than ideal for a soup like this, but I feel better knowing it’s at least healthier. 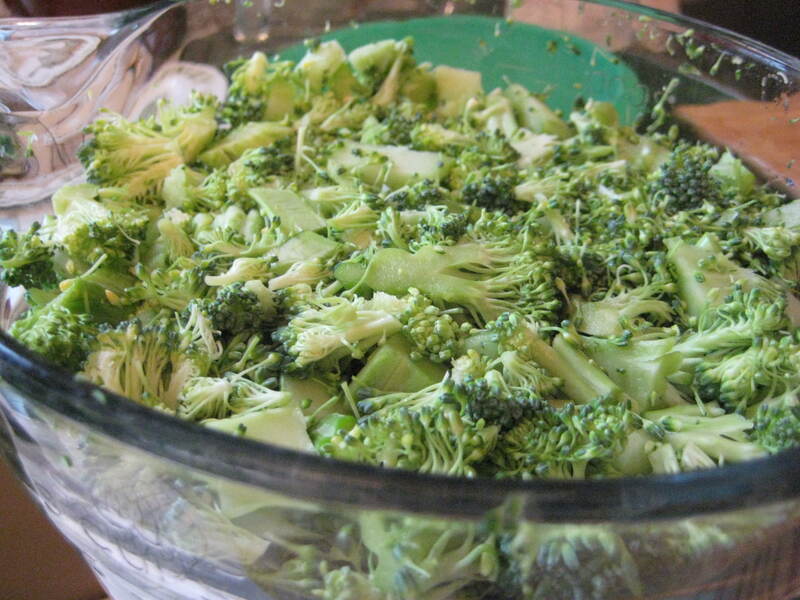 When the broccoli stock is tender, puree it in a blender, then add the stock to the white sauce and reheat. All that remains is to serve and enjoy! I ate mine with grated sharp cheddar, and salt and pepper. Planning Packed Meals… on the cheap. I don’t remember this recipe but she was a great cook. 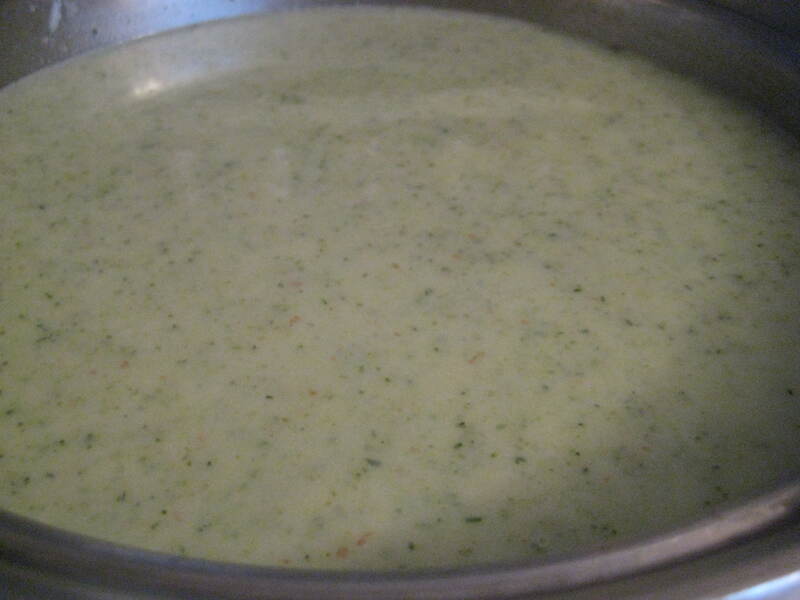 I always love broccoli soup so I’m glad to stumble on this recipe which I will try very soon as this is especially wonderful in this very cold weather of ours at the moment. Thanks a lot for sharing your mom’s recipe! You’re very welcome! I hope you enjoy it!